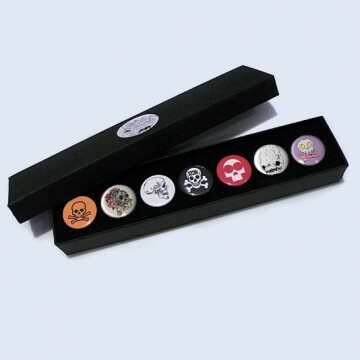 All Stereohype button badges available at stereohype.com are classic high quality one inch (25mm) metal back badges with 'D'/'e'-pin. 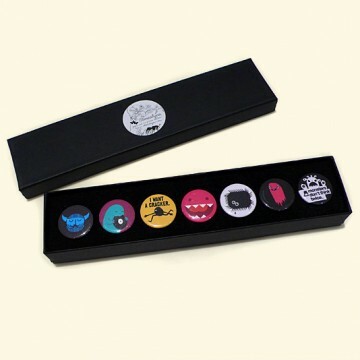 Tiny stickers at the back mention the artist, release date, series number, etc. 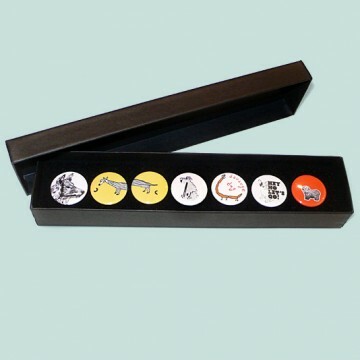 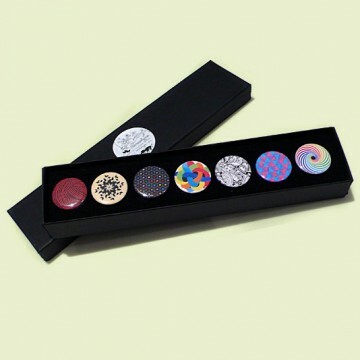 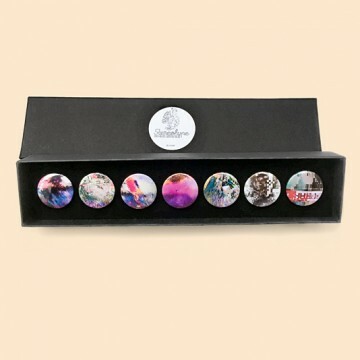 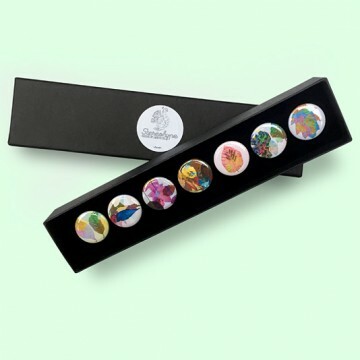 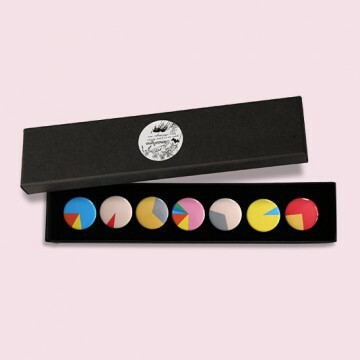 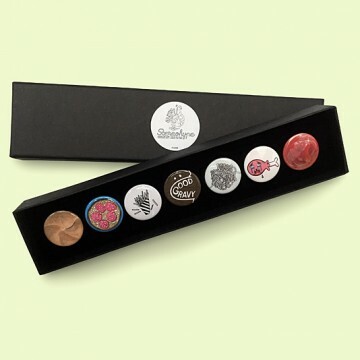 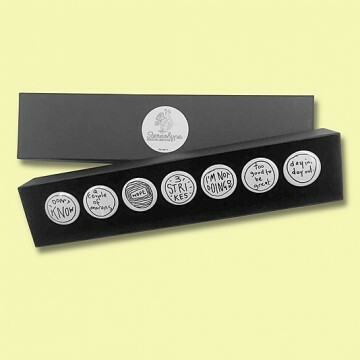 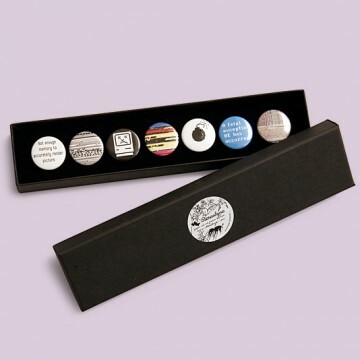 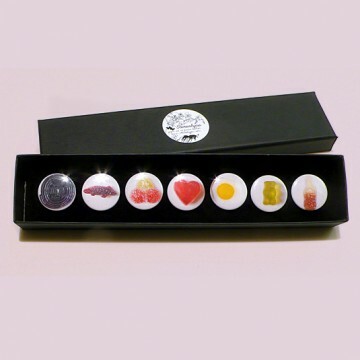 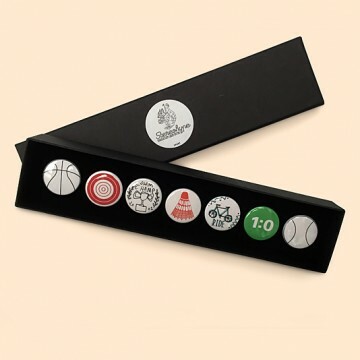 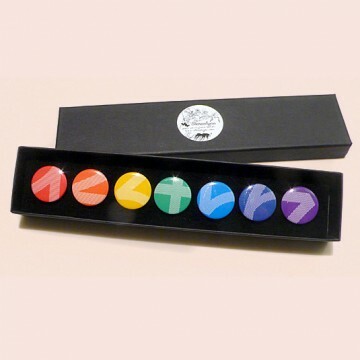 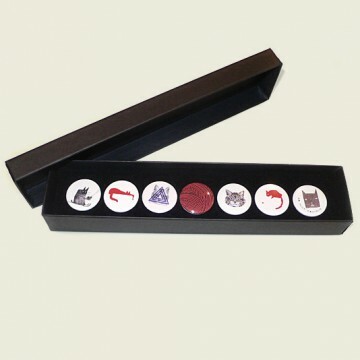 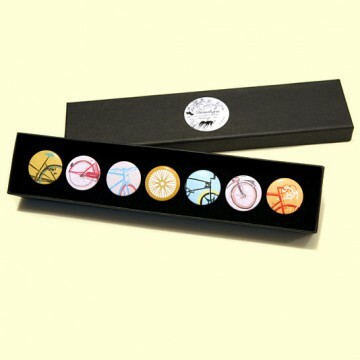 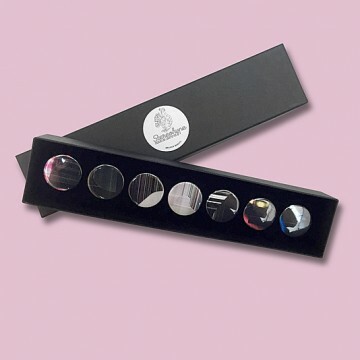 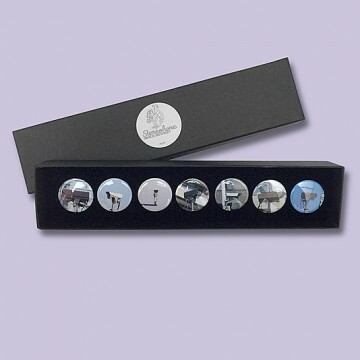 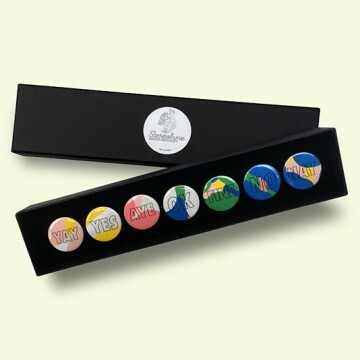 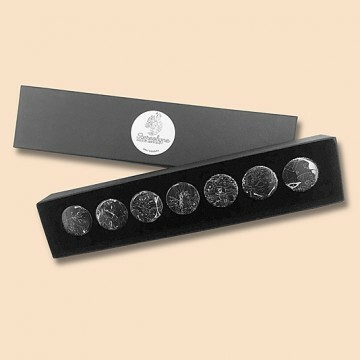 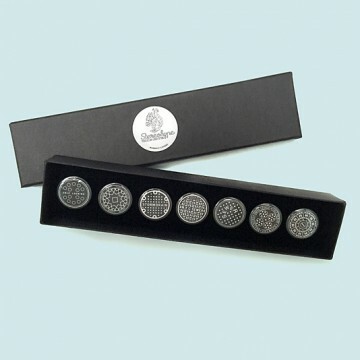 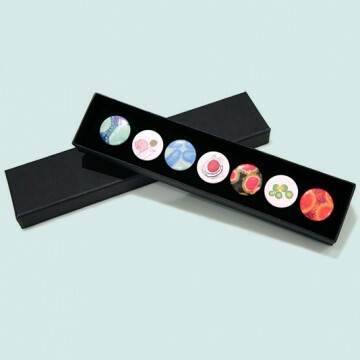 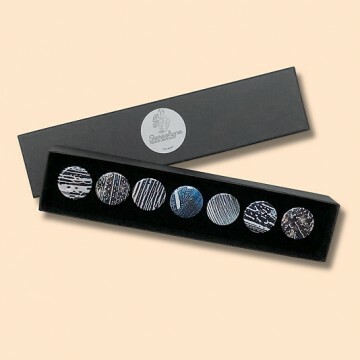 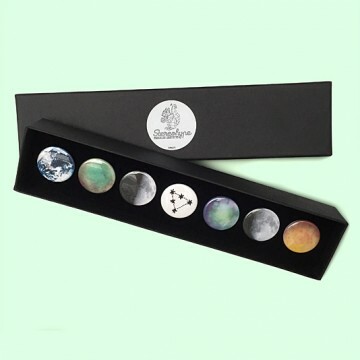 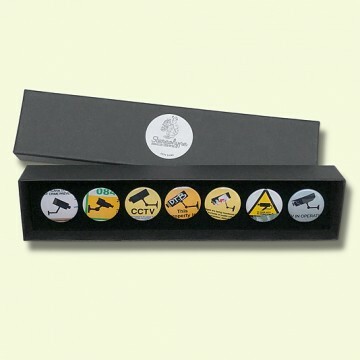 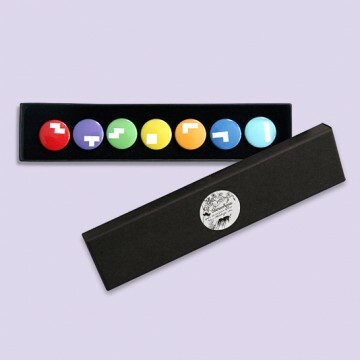 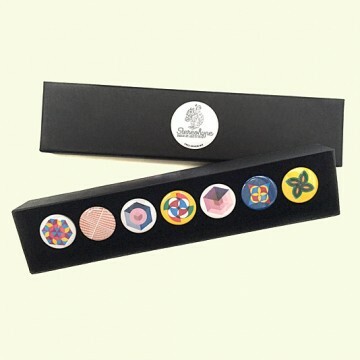 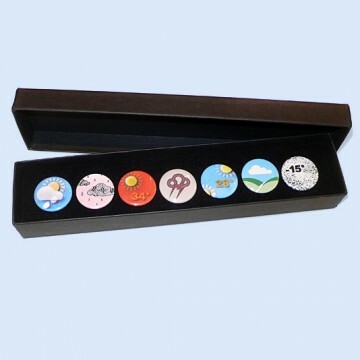 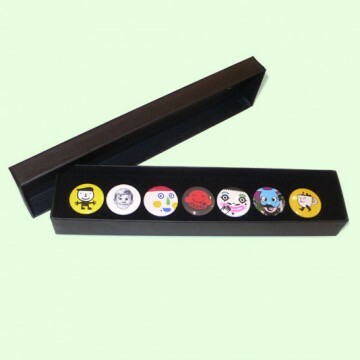 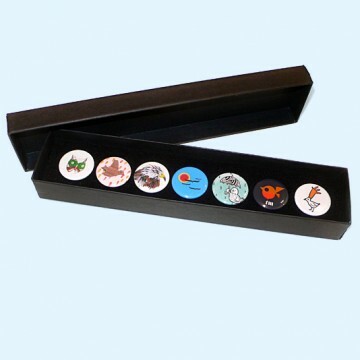 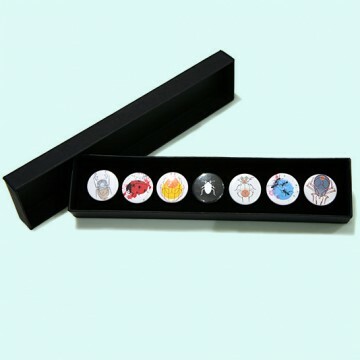 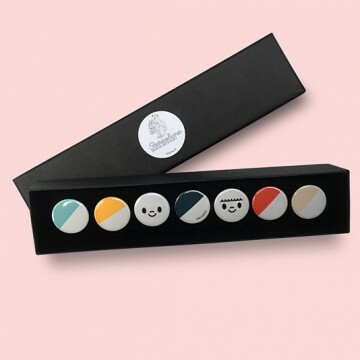 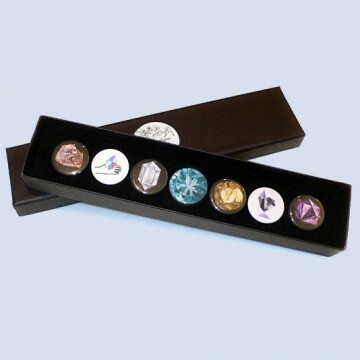 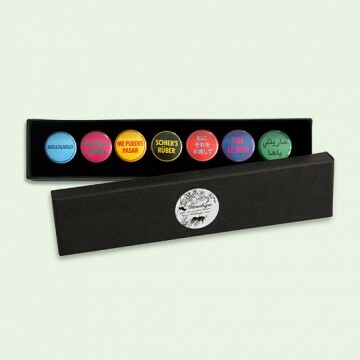 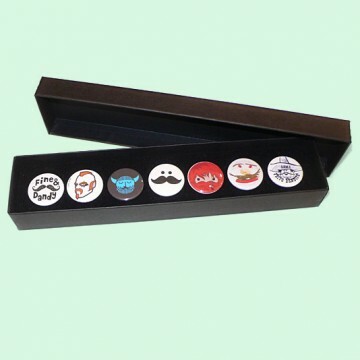 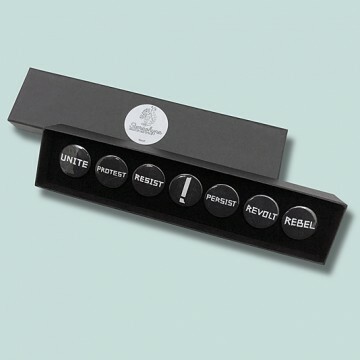 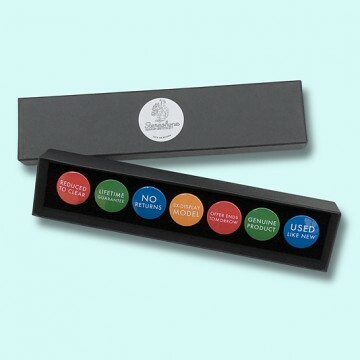 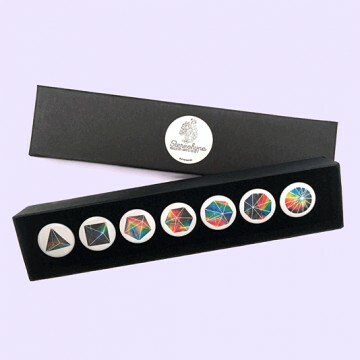 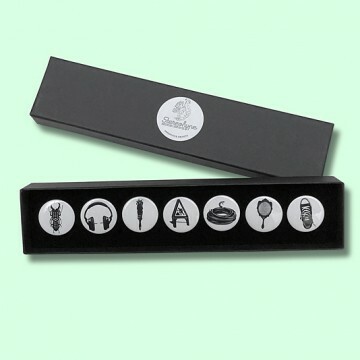 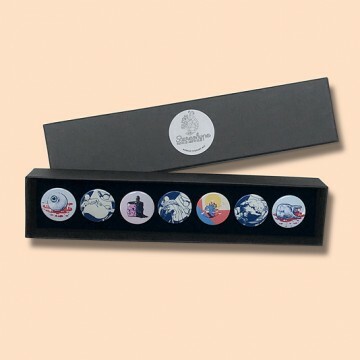 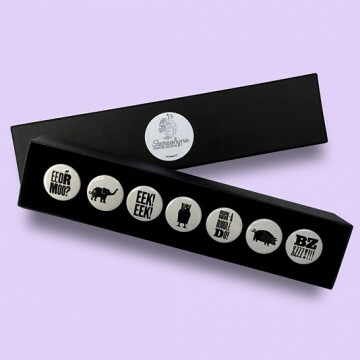 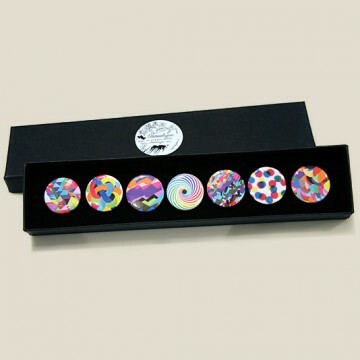 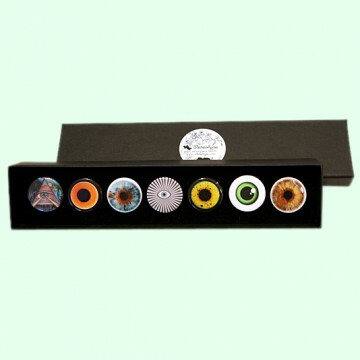 Each themed luxury gift box contains seven of Stereohype's most popular button badges. 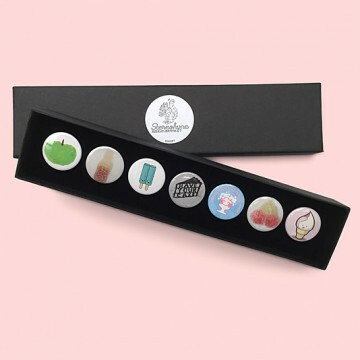 Selected designs are taken from Stereohype's growing button badge collection. 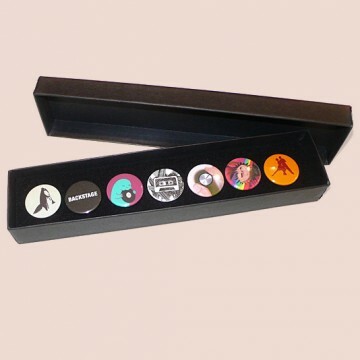 Inside the elegant matt black 'bracelet' box (215 x 45 x 25mm) is a black flock pad and badges are directly pinned into it. 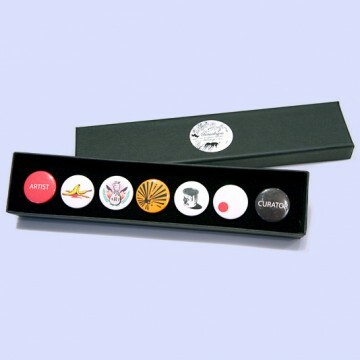 Badges and boxes are manufactured in the United Kingdom.